Here we are, three weeks until the fantasy playoffs. Can you believe it? It’s actually interesting that we are this late into the season and this week, we actually have some players worth picking up. Whether it’s a QB, an RB, WR, or TE trouble that you need due to a weak bench or the bye week troubles by missing the Rams/Chiefs players, we got you covered here at 305. But Dylan, Lamar only had 150 passing yards, he can’t be trusted. Although Lamar had an off game in the passing department, he was electric as always in the running game. As a QB, Jackson had 117 rush yards, which was 4th in the entire NFL in week 11. Although his rushing yards won’t always look like that, his passing yards will go up and he will score some touchdowns sooner than later. This week, he gets a juicy matchup against the Oakland Raiders. Even though he played awful vs the Raiders last week, Cardinals QB Josh Rosen still threw for 3 touchdowns. Jackson is a great streaming option this week and should be considered a safe play due to his rushing ability. Coming in sometime in the third quarter, Winston left it all on the field. In limited playing time, he recorded 200 passing yards and 2 passing touchdowns and almost came back and got the win against the New York Giants. This week, he will get the start in a relatively easy matchup against the SanFrancisco 49ers. This 49ers defense is bottom 10 in the league in fantasy points given up to the QB position. Winston has to lay it all out on the line this week and prove to the Buccaneers that he is the QB they want and need in the long run. With stud QBs like Pat Mahomes/Jared Goff on a bye week, Winston is worth a look in leagues as a bye week replacement. I love stories like this in the NFL. It goes to show how little we know. For example in week 11, Alex Collins was projected to be a feature back and absolutely annihilate the Cincinnati Bengals defense. Although Collins did get a goal-line TD, he only saw 7 carries and that was due to the emergence of undrafted rookie Gus Edwards. He recorded a career-high 17 carries, for 15 rush yards, and 1TD. 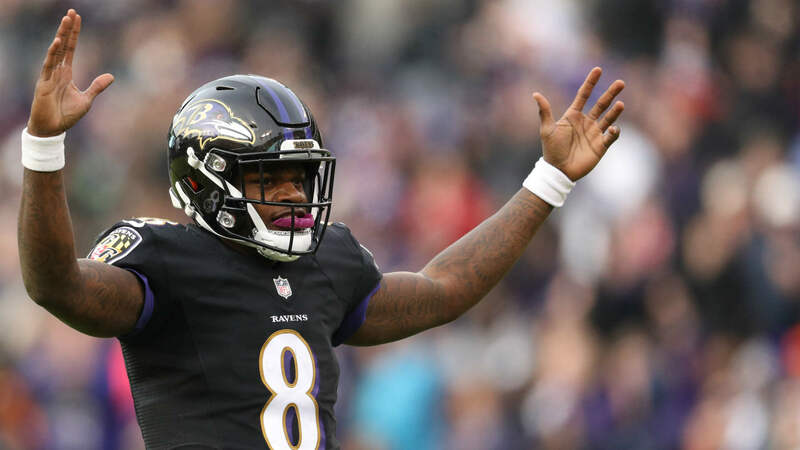 He is a priority pickup for me because if he is indeed the top-back in Baltimore, I want him in every league because of his schedule for the rest of season. On the remaining schedule, he has the Raiders, Falcons, Chiefs, Buccaneers, and the Chargers left. Not many RB’s will see an easier schedule. Go get him! The rookie had a career game in week 10 against the Detroit Lions. In tremendous fashion, he recorded 7 receptions, for 157 yards, and a TD on 8 targets. His highlight play was a sideline catch, then he shifted up the gears and made it an 82-yard play. It was the longest non-scoring play in the league so far this season. Moore now has 2 big performance in the last 4 games so he is worth a grab for sure. His snap count is increasing as Curtis Samuel is slowly getting phased out. Finally, Moore has a juicy rest of season schedule featuring matchups like the Seahawks, Buccaneers, Browns, Saints, and the Falcons. Those are all relatively easy matchups for opposing WR’s. another impressive rookie WR, Smith had another big game in week 11 against the Philadelphia Eagles. It was expected to be a smash spot for fellow Saints WR Michael Thomas, the attention and targets ended up going to the rookie wideout. On a career-high 13 targets, Trequan made the most out of it. He piled on 10 receptions, 157 receiving yards, and a TD. He is definitely worth a pickup because it’s going to be a Thanksgiving shootout this upcoming Thursday when the New Orleans Saints host the Atlanta Falcons this Thursday night. Deja Vu, right? In Week 6, Buccaneers announced Jameis Winston was going to start over Ryan Fitzpatrick and TE OJ Howard would miss time due to an injury. Well, it looks like the same thing is happening as we enter Week 12 with Winston starting again and OJ Howard now going to miss the rest of the season with a foot injury. The tight end out of Harvard, Brate projects to be a low-end TE1 for the rest of the season with OJ Howard out of the picture. 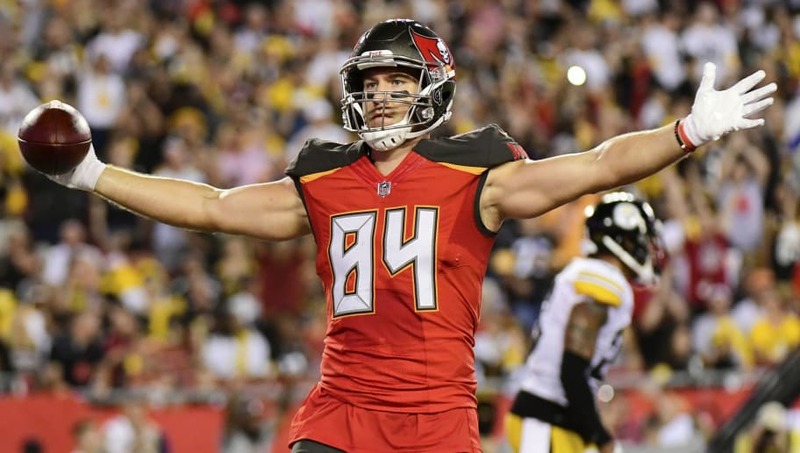 It is not so often that tight end value opens up like this towards the end of the season, and especially for those that are pushing for the playoffs and need a reliable TE, Cameron Brate is your guy.